The term cybersecurity has become so widely and frequently used that merely hearing the term brings the average consumer’s alert level into the red zone. Like a lion crouching before its prey, as a population, we live our lives comparable to a wildebeest who knows that a fatal attack might be just around the corner. At this point, it is a matter of “when,” not “if.” We all fear being a target of the next attack. From worldwide attacks on major elections to a friend on Facebook contracting a virus, people are scared of the unknown that comes with the dark web. The government is scrambling to strengthen cybersecurity laws and regulations in an attempt to heighten security on various social media platforms. The problem is that the rate in which these laws are being put into place is considerably slower than the frequency of cybersecurity breaches. Moreover, while the laws will become more aggressive and companies will try protect our data better, there is no protection from the blackmail and fraud that occurs on social media. While other American cities such as Baltimore and Denver have had major cyberattacks, this assault on a city of 6 million people was one of much greater sophistication. The breach allowed the hackers to steal their victims’ files, lock them up and give the city one week to pay $51,000 (Bitcoin accepted) in order to release the stolen files. The consequence for not paying by the deadline was, and usually is, permanent deletion of all files. Some files hackers typically want to steal are passwords for accounts, credit card data, photos or any information for blackmail, copyright files, blueprints and tax and bank information. Gaining remote access to your computer is another strong desire by hackers. We live in a society where social media plays a big part in our daily lives; so much so that an actual saying has emerged: “If it’s not on social media, it didn’t happen.” We communicate with our friends, work and relatives using simple and easy-to-use applications and social media platforms. Facebook, Instagram, Twitter, Snapchat and other social networks have major vulnerabilities, and these are where most of the cyber threats come from. Perhaps our generation became too large to ever be truly secure. As we all remember, 10 years ago Facebook boasted a user base of 20 million, while the number is now well over 2 billion. 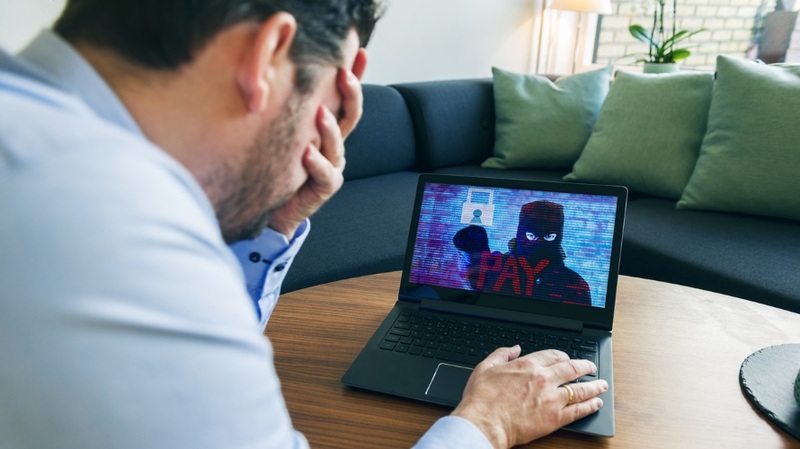 We all hear about constant security breaches, data leakages and other cyber-related threats, but what we hear less about is the astronomical costs victims pay for their stolen data. Living in an “I” society, as individuals, we don’t really know what happens once the information gets stolen, nor do we care, yet. If the breach didn’t happen to us, we are safe and we live with hope that it won’t hit us. As they say, hope is a dangerous thing. Social media platforms to hackers is like a candy store to a kid. Social media users are vulnerable—often more vulnerable than they would be in person. People feel comfortable and safe to communicate openly and freely (frequently to a fault), and they are eager to spend as much time on social media as possible.